Julien grew up in the countryside of Alsace surrounded by animals, vegetables and a beautiful intuitive style of French rustic cooking. He's an exceptional chef with 18 years of experience from around the world, including 7 years of working in top kitchens in Switzerland. Young, motivated and passionate, he has travelled the world discovering new and exciting cuisines throughout Asia, the Americas and finally settling in Australia. During his career so far, Julien has worked as head chef in a myriad of award-winning restaurants as well as being private chef for elite families internationally, and as consultant for new restaurants and food enterprise start-ups including VIVE Cooking School: Julien has contributed to the conception of the school. Ex head chef at one of Jamie Oliver’s Restaurants “Jamie’s Italian” and with a high focus on healthy and nutritious food for the whole family. Steffen is following his passion for good food and great products for now almost 20 years and has been working and leading the kitchen teams of 5 star hotels like Hyatt and Marriott as well as high end Restaurants Lowenbrau at The Rocks, The Cut and The Ananas. Buster spent his teenage years living on the French Riviera and was always in and out of the kitchens run by his stepfather. 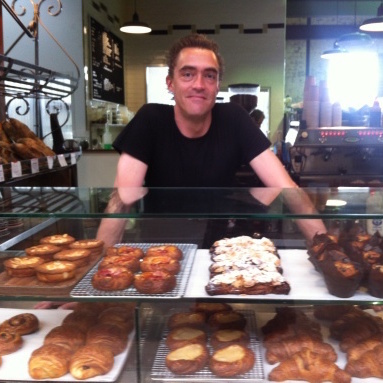 He took a shine to patisserie because it appealed to his creative nature. After completing his apprenticeship he worked in the kitchens of Harrods and The Ivy in London. His travels saw him land in Sydney in 2001 where he worked as Head Pastry Chef in various restaurants and bakeries including: Fratelli Paradiso, Aqua Dining, Patisserie Lumière, Bourke Street Bakery, BlackStar Pastry, Grain Organic Bakery and Luxe Bakery. Matt has his focus on bringing the best of local and seasonal produce, working with farmer direct from small growers to cook local and maximise sustainability. He's also the creator of the Hands Lane Food company.